– Billy Mills recounting a conversation he had with Nadia Gammoudi, the daughter of 1964 Olympic 10,000 silver medalist Mohammed Gammoudi, last year. 2014 is the 50th anniversary of Mills’ shocking 10,000 win. Gammoudi would go on to win gold in the 5,000 in 1968 (bronze in 10k that year, also silver in 1972 5,000). Caleb Ndiku on Lagat: "I simply used Lagat’s tactics to beat him. I like Lagat. 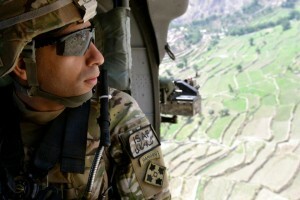 He is a friendly guy." 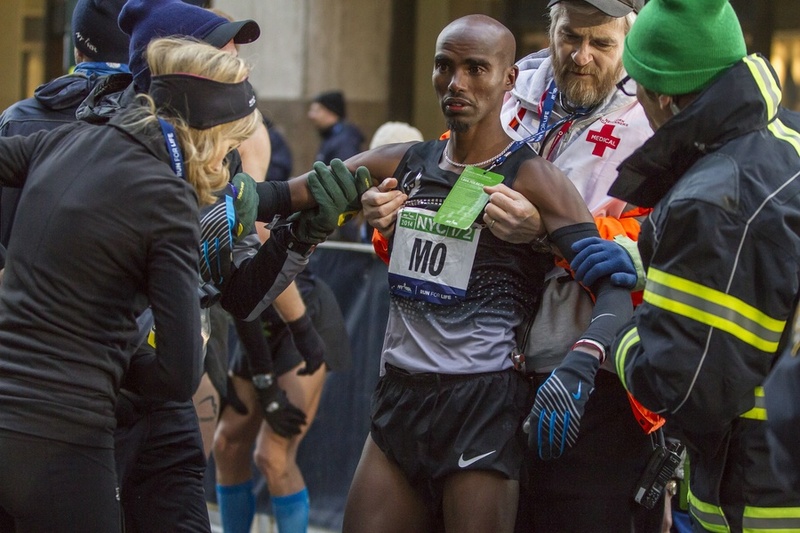 Baller: 44 yr old man in medically induced coma for 3 days after marathon, says first words were "what time did I do?" Day 1: Arrival Day: LRC Running Commando and Shirtless In Jamaica Now that employee 1.1 has been out of the country for World Indoors, he’s become adventurous and will be spending a week in Jamaica learning the secrets of sprint island. Well not that adventurous as he pulled an ‘Usain Bolt’ and went with what he was familiar with for food, Domino’s, although he decided to go commando while on a run. Good Read Is Wales’ 18-Year-Old Hurdler David Omoregie The Next Colin Jackson? 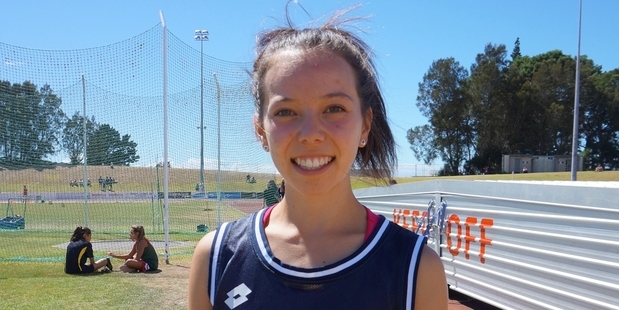 The 18-year-old has already blazed the #2 time ever in junior hurdles (7.50) and is super-motivated. Is Oscar P Screwed? Defense Expert Says Oscar P Faces A “Major Problem” Now That Prosecution Has Unveiled 3 Witnesses Who Said They Heard Steenkamp Yell Before She Died “Suddenly what we have is Oscar Pistorius firing at Reeva Steenkamp while her hands are covering her head while she’s screaming in the toilet, and that’s murder.” In other news, the trial will last until May. IAAF: Mickel Breaks Australia’s Javelin Record, Welsh New Zealand’s Shot Record As Pearson Doubles Up Americans LaShawn Merritt and David Oliver also were winners on the day. Two Days After Meeting Louise Currey, Kim Mickle Breaks Currey’s Australian Javelin Record With 66.83 The record of the 1996 Olympic silver medalist has fallen. Athletics: Shot Put Showdown Between Jacko Gill And Tom Walsh Being Hyped By Papers As “Best Matchup In NZ Athletics In 50 Years” Gill went to twitter and said the groin injury rumors won’t be stopping him: “Just so everyone knows I’m completely injury-free … Even if I was injured I’d still be in Wellington.” Last week, Gill made a bizarre video which has been viewed over 150,000 times of him training to apparently try to psych out the competition. The video ends with him staring into the camera, eating a red-hot pepper. 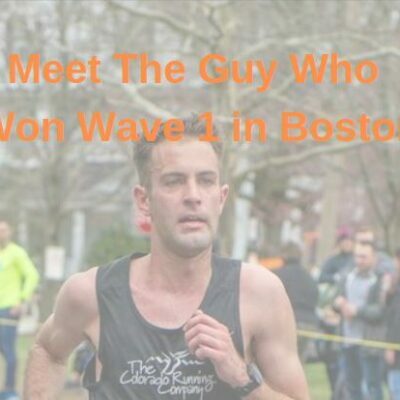 Frank Shorter Returns To The Boston Marathon As Part Of Universal Sports Network’s Coverage Shorter talked about American marathoning and said he thought for the men, we lacked the right body type to have marathon major winner. He also talked about drugs and said he thought Americans would have a better chance if other countries had better drug testing. Group Of Ugandan Women Have Accused A National Coach Of Sexually Harrassing Them Before African XC Champs (new link) Team captain Moses Kipsiro intervened and went to the police. Kipsoro said, “[The coach’s] theory was that if a woman’s private parts are wide, their legs move easily. I was so shocked. I even feel ashamed to talk about some of the things that happened in that camp.” The Ugandan Athletics Federation has apparently so far denied the accusations. American, World Junior And Collegiate Records Fall – The Newest Bowerman Women’s Watchlist Oregon’s Phyllis Francis tops new additions to the list. Update On Why 2013 NCAA 5,000 2nd Placer Paul Chelimo Quit The UNCG Track Team Chelimo said after having differences with the new interim coach Chad Pearson and being suspended during the indoor season, he decided to go pro. 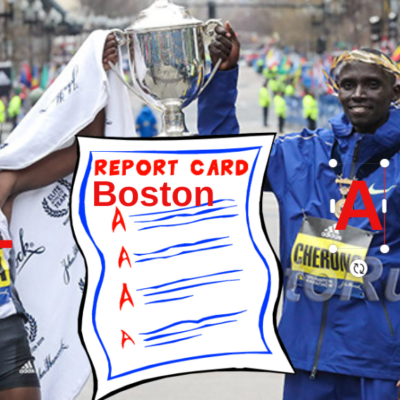 Some of the differences stemmed from Chelimo wanting to do certain elite races separate from the team. 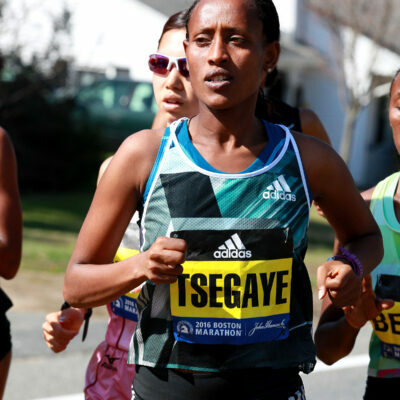 Sunday: Dejen Gebremeskel Vs. Bernard Lagat At Carlsbad 5K Gebremeskel will try to get a 4th straight title against a field that includes Lagat, Tariku Bekele, Augustine Choge and Diego Estrada. 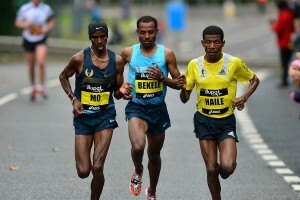 Kenenisa Bekele Vs. Who? The Rest Of The Elite Field Is Announced For 2014 Paris Marathon In his marathon debut, Bekele will face Abdullah Shami (2:05:42), Mark Kiptoo (2:06:16), four 2:07-2:08 guys and Mike Kigen, who ran a 60-min. half in Paris this month. The women’s field is led by Kenya’s Valentine Kipketer (2:23:02) and Flomena Cheyech (2:24:34). 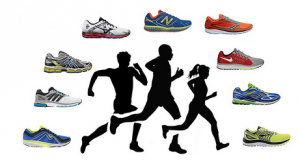 *MB: Has Nick Symmonds lost his mind? Interesting: RW Looks At Some Famous Falls In Elite Races First on their list is Lasse Viren‘s fall during the 1972 Olympic 10K, which he won. Ryan Vail Gets Out Of Jury Duty For The London Marathon He’ll be out of the country, but was still initially denied his request to be excused. Only after appeal was his request approved. 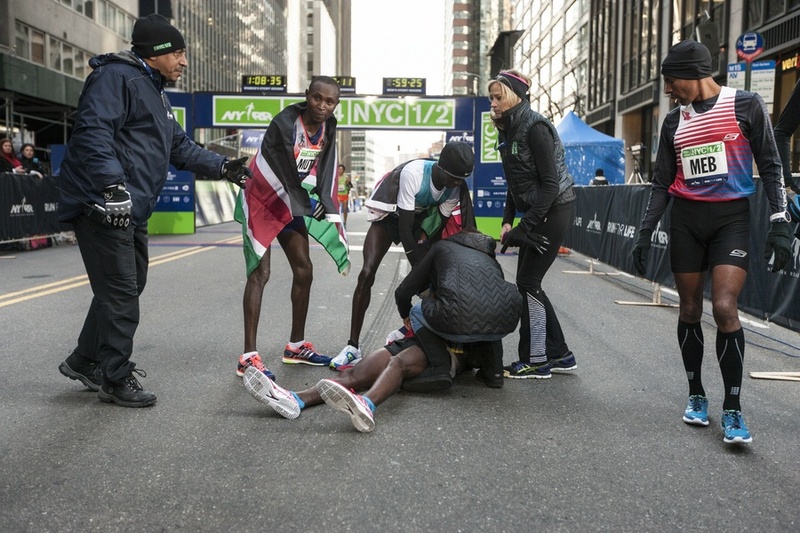 Two Deaths Reported At Half Marathons On Sunday And a third collapsed and had to be resuscitated immediately after the NYC Half (no, not Mo Farah). $100,000 In Prize Money For US Athletes At July’s Peachtree Road Race The race is the host of the US road 10K champs. Boston Marathon Bicycle Ride Will Go On Despite Marathon Organizers’ Wishes Every year before the marathon start, hundreds of cyclists ride the course, but this year they’ve been asked not to because of safety concerns. Athletics Illustrated Q&A With Moses Mosop Mosop talks about his training, how he feels his 2:03:06 from the 2011 Boston Marathon was legit, and his three children with Florence Kiplagat. German Study Finds That Older Marathoners Gain No Heart-Health Advantage For this study, “older” was 50 and up. UK Telegraph Asks If Tony “The Fridge” Is The “World’s Most Extreme Marathon Runner?” Tony Morrison runs marathons with a fridge on his back and this year is trying to run four London marathons (104.8 miles) in 24 hours. Dallas Half: LRC Deena Kastor (71:57) Just Misses Colleen De Reuck’s US Masters Half Marathon Record By 7 Seconds In Windy Conditions In Dallas Former OSU star Colby Lowe was second in the men’s race. News Out Of Kenya: MB: Two kenyan teams run 7:11 at World Relays trial – how fast can they go for real? 6:52.5? Kenyan Parliament Passes Bill Promoting Polygamy The MPs deleted a provision that required a man to get consent from wife #1 to marry a second woman. Recommended Read: Science Of Sport’s Ross Tucker Looking Into Possible Genetic Aspect Of Kenyan Dominance In Marathon 94% of the top marathon times in the world are produced by Africans. 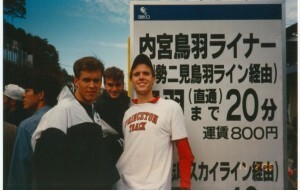 The #1 time in the world from 1990 would be 107th in 2012. Richard Kilty’s Father Says His Son’s 60m Gold Is A Real-Life Rocky Story Richard had a Rocky poster on the wall as a kid and dad says, “It’s like a Rocky story but unlike Rocky this is a true story – and a better story in some way.” The dad says he’d rather his son won the gold than £10 million. Munich 4 X 400 Silver Medalist Alan Pascoe Vehemently Defends Way UK Lottery System Of Funding Is Done UK was 36th in the medals in 1996 before funding – now they are 3rd. Japan’s Toyo University Is Spending $50,000 On A New 1% Downhill Track To Help Yoshihide Kiryu Become The First Japanese Man To Break 10.00 By running on a downhill, you get used to running faster. How To Avoid “Runner’s Tummy” – Crippling Stomach Aches High fiber diets are thought to contribute. 12:53/26:54 Man Mark Kiptoo Of Kenya Is Taking On Bekele In Paris He ran 2:06:16 for 2nd in his only marathon in Frankfurt. We’ve always known you, our beloved little visitors, are some of the smartest people on the planet. Now we have proof. 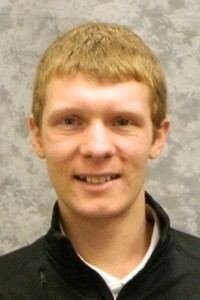 Plus Chris has confirmed he’ll share the billion with the other LRC people who entered our bracket. European Athletics – Mascot Adam Unveiled For 2016 Euro Champs Spray painting lion “Adam” selected as Mascot for 2016 European champs. No mascot will ever be able to beat LetsRun.com’s favorite, Berlino. The 2014 Mascot is Cooley, a bear. A Revamp Of Ireland’s Major Cross-Country Competitions Is Imminent The inter-clubs used to be the premiere event but don’t attract big fields any more. Gee, you think Ireland’s decision to send only individuals, not teams, to World XC has anything to do with it? BBC Catches Up With Trinidad And Tobago’s Olympic Javelin Champ Keshorn Walcott Walcott joked that if he won Commonwealth Games gold that they might name a town after him. In reality, they did rename his old school and a lighthouse after him when he won Olympic gold. Former Discus WR Holder Mac Wilkins Now Coaching At USATF High Performance Training Center In CA He said he’s hoping to help give throwers an opportunity to compete post-collegiately. Wilson Kiprop Determined To Get Back His World Half Marathon Gold In Copenhagen Next Weekend Most recently he ran 59:45 at the RAK Half Marathon, but was only 3rd as he finished 11 seconds behind the winner. Elite Field/Bios For This Saturday’s Lodi Mile In Northern CA David Torrence, Dorian Ulrey and Lea Wallace lead entries. Roger Bannister Mini-Series Could Be Headed For BBC It hasn’t been officially green lit yet, but would focus on the months leading up to his sub-4 after his disappointing 1952 Helsinki Olympics. 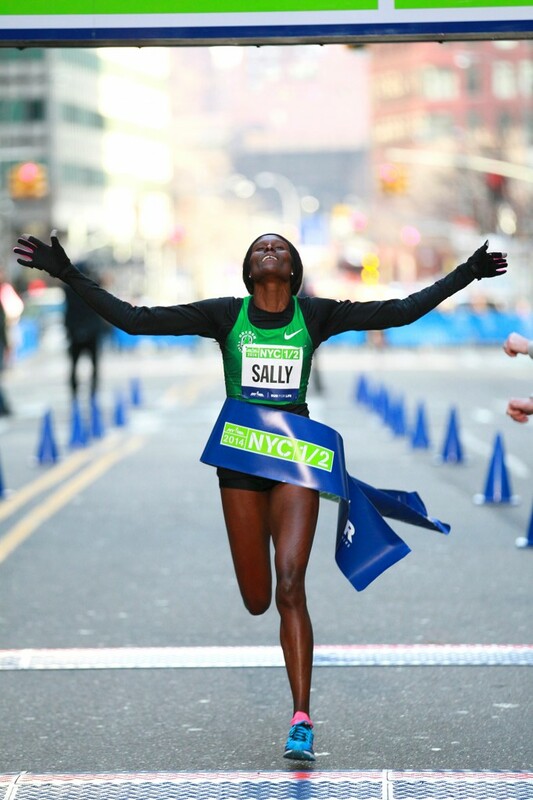 Kennedy Kemei (2:18:24) And Joanna Zeiger (2:43:59) Win Yuengling Shamrock Marathon In Virginia Kiprono Kurgat won the half in 1:04:23. Ballistics Expert Says Pistorius’ Girlfriend Was Shot First In The Hip, Not The Head This supports earlier testimony of earlier witnesses who said they heard screams during a volley of shots. 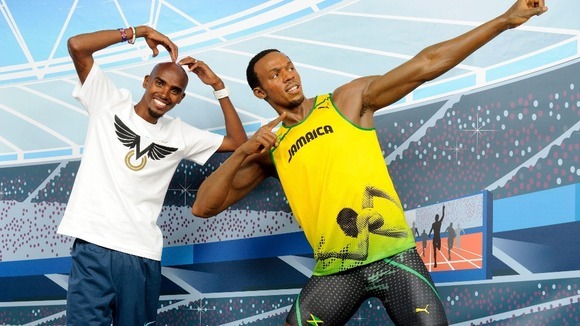 Upcoming: Who Will Be Selected For The World Relay Champs? USATF Selection Criteria For World Relay Championships Is Not Straight Forward At All You can be selected if you made the 2012 or 2013 US team or finished top 2 at US Indoor Champs, based on 2014 descending order list or just because USATF wants to select you. We should be hearing soon since the USATF deadline to accept a spot is March 28th. 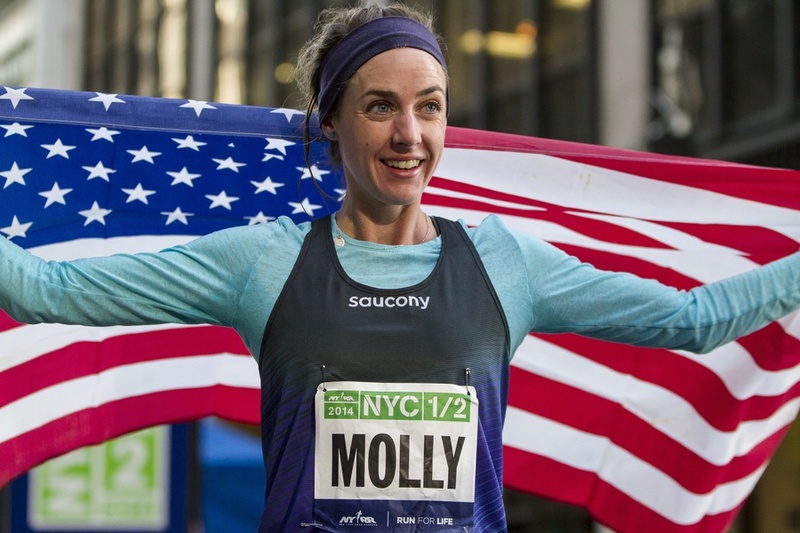 Mo Farah is a fierce competitor, Molly and Sally debut, it's all about 26.2 and some human decency from Matt Tegenkamp showing the Schumacher-Salazar rivarly only goes so far. 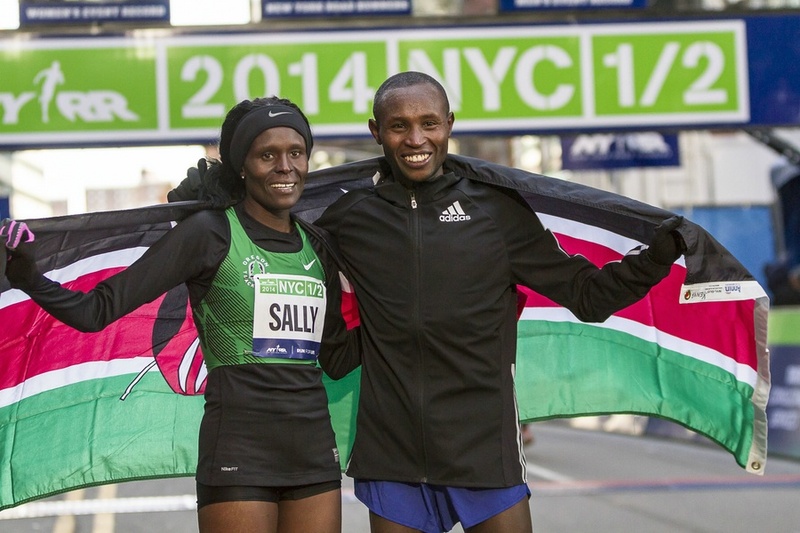 LRC Mutai Wins, Farah Falls Down During Race And Passes Out After, And More Geoffrey Mutai won. Mo Farah fell during the race and then passed out after it and had to leave in a wheelchair, but was doing okay at the press conference later. 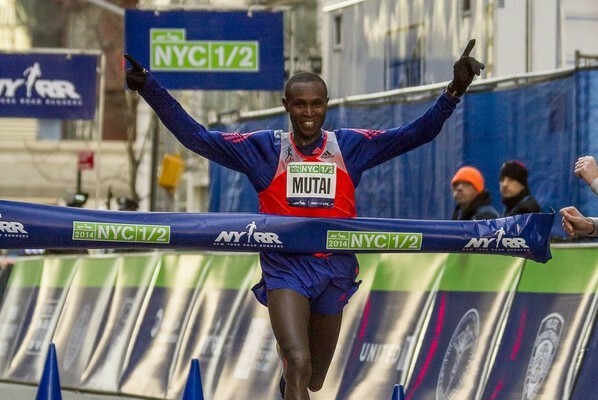 The Mutai – Farah London matchup gets even more interesting. 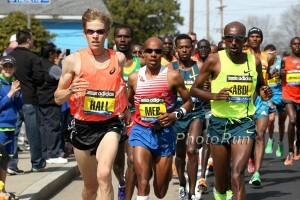 Tegenkamp was the first American and Meb is fitter than ever. Q&A With Bring Back the Mile Founder Ryan Lamppa We 100% think the IAAF should accept mile times for Worlds/Olympic 1,500 qualifying. Cuba (Yes, We Looked It Up – Cuba Is In N. America): 21-Year-Old Rose Mary Almanza Runs World-Leading 1:59.76 At Cuban Champs TJ star Pedro Pablo Pichardo put up a world-leading 17.71m as well. Interview With Goucher On Her Transition Back To Boulder And Mark Wetmore She says it’s been a smooth transition and talks about training with Jenny Simpson, Emma Coburn and Shalaya Kipp. Goucher says she gets a minute head start for long runs so she can warm up as the group hits it hard from the start. Oiselle’s 1:59 Runner Kate Grace leaves NY/NJ Track Club – Moves Back West Grace was 4th at USAs last year and broke 2:00 in Paris, but this LRC message board poster has never heard of her. IAAF Branching Out To Recreational Runners With Launch Of New Site WorldRunning.com The site is aimed at non-elite runners and supposedly offers a system which can give you an “official” global rank. IAAF Forms 7-Member Ethics Commission Their object is to eliminate corruption and they have the power to form independent investigations and hand down sanctions. Jamaican “Whistleblower” Renee-Anne Shirley Says She Was Forced To Relocate Because Of Backlash Against Her By Jamaicans She says “Personal safety is something you can’t take lightly” and that her family didn’t even want her to do this interview. WADA Says Jamaica’s Anti-Doping Program Is Back In Order WADA Director General David Howman said they’ve improved a lot, although he was very disappointed by the Veronica Campbell-Brown faulty sample collection issue and by the fact that the Asafa Powell / Sherone Simpson process isn’t complete yet. WADA Looking At Use Of Xenon Gas And Might Ban It The investigation comes after claims that Russians were using it to boost EPO during the Olympics, but the WADA’s director general says it’s been used for “years and years” and that it’s been previously looked at. RIP: Kenyan Runner Pamela Lisoreng Dies After Morning Run In Eldoret Lisoreng was part of Kenya’s 2006 World XC team and ran a marathon debut last year of 2:34. 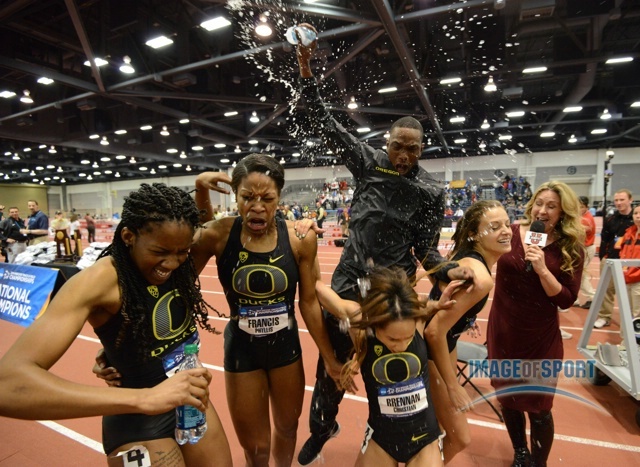 This week we introduce you to Oregon's two newest female stars, take a look back and show you how Oregon of all schools somehow went into NCAAs under-hyped on the men's side, tell super-frosh Edward Cheserek to stay in school, talk about Ben True's sweet revenge on Chris Derrick and heap praise on Shalane Flanagan. Plus a world record attempt in New Orleans that you didn't hear anything about just misses, high school nationals with big wins by Foot Locker stars Barrett and Fisher. And finally, why can't American 14:03 collegians run 2:06 like they can in Kenya? New Anti-Doping Test Could Be “1,000 Times More Sensitive” Than Current Tests The new detection method would increase the window drugs could be detected in an athlete’s system as well as be able to detect smaller amounts. Court Hears Of Previous Time When Oscar Pistorius Went Into “Full Combat Mode” When He Thought There Was An Intruder In His House Pistorius even tweeted about the incident back in 2012 when he heard a noise in his house and took out a gun, only to find out it was the washing machine. Prosecution Presents Gun Licensing Test Pistorius Passed According to his past test, Pistorius knew you couldn’t shoot an intruder unless your life was in danger. Pistorius’ Defense Lawyers Accusing Police Of Mishandling Evidence And Not Following Proper Procedure The police admitted that much of the scene was disturbed before or while being photographed as items (including gun and cricket bat) moved between photos. SA Police Face More Embarrassment As It Comes Out That Ballistics Expert Handled Oscar P’s Gun Without Gloves Pistorius’ watch (valued around $5-9 thousand) was apparently stolen during the police investigation. Court Sees Graphic Photos Of Pistorius’ Home After Shooting Pistorius vomited for the second time of the trial when photographs of Steenkamp’s face and body were shown accidentally to the court. Pistorius’ Bathroom Door Brought Into Courtroom As Evidence The defense and prosecution are arguing whether or not Pistorius’ story is accurate, that he was on his prosthetics when he broke the door down with a cricket bat. 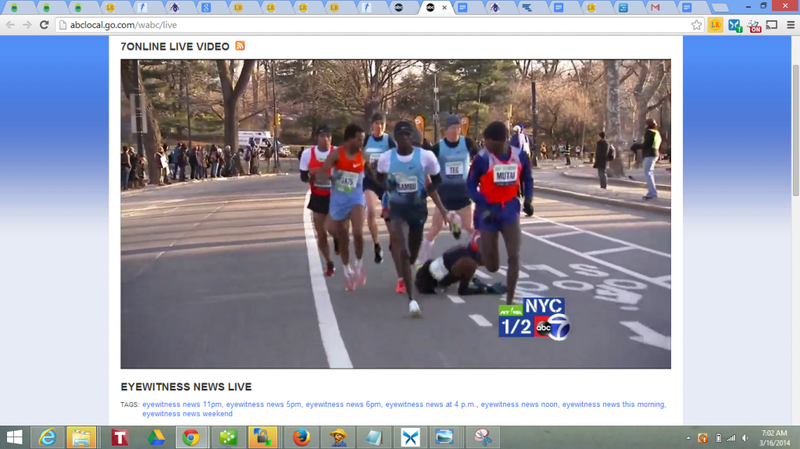 NY Times: Fall Derails Men’s Duel In Half Marathon; Women’s Record Is Set NY Times coverage of the race.